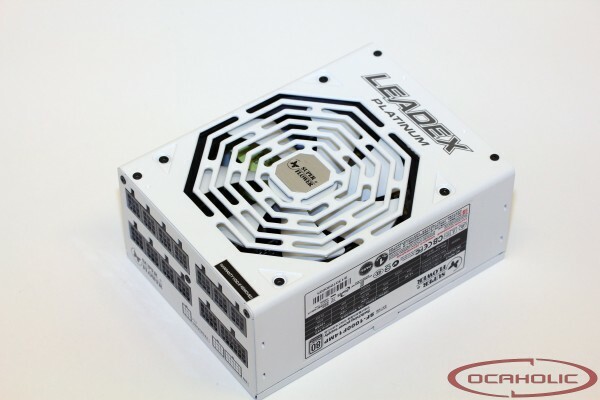 With the Leadex Platinum 1000 Watt, Super Flower has a PSU in their portfolio which they manufacture themselves. Furthermore there is already EVGA out there, which the 1000 G2 offer a PSU which is based on this design. These days, the Leadex Platinum is not yet available in Europe but we hope Super Flower is going to change this soon. Why? Well, that's what you can find out on the following pages. On the following pages we're going to show you the strengths and weaknesses of the Super Flower Leadex Platinum 1000 Watt.